JC Penney‘s focus on the high school market is given a horror twist with ‘Zombie’, a TV ad released in July. A group of students talking on the school playing fields find themselves being chased by living dead clothes without bodies. They run for safety in the school gymnasium but find that they’re trapped. 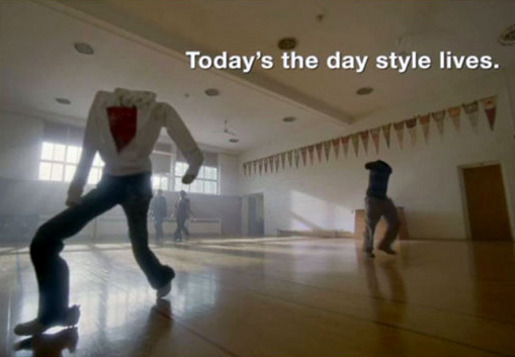 The ad reaches its climax as the students are stripped of their fashionable clothes by the zombies. The students realise they’re safe as soon as they’ve become fashion victims. The Zombies ad was developed at Saatchi & Saatchi New York, by creative directors Kerry Kennan and Michael Long, copywriter Craig Love, art director Shayne Millington, agency producer Zamile Vilakazi and agency executive producer Colin Pearsall. Sound was designed at 38 Greene, New York.